In the wake of the tragedies in Ferguson, I would like to ask how I, as your friend, can be an effective white ally? What does it mean to be an effective white ally? How would you like to see your white/privileged friends stand up for racial equality and justice? A cogent question by a friend on Facebook that stood out among the countless posts on my newsfeed praising protestors, condemning protestors, or avoiding the subject all together. I noted the responses from her other friends, mentioning the importance of learning history, sharing personal stories of discrimination, and claiming white privilege will always be blind to this issue. I decided to contribute to the conversation a narrative that has not received many headlines and seems to be missed in most discussions. There are many points to make regarding the solution to this issue, but since the question and the trendy topic at the moment is police brutality, I will focus on that branch of oppression. Here, let us engage in two directions to begin making progress: history and understanding. You have to focus on the history that was omitted from text books. Before, this information required major effort to find, but now you would be surprised how easily accessible it is. One particular moment in history that most are aware of but might not know the back story of is the Civil Rights Act of 1964. I attended a documentary screening last year for “The Powerbroker: Whitney Young’s Fight for Civil Rights” by Bonnie Boswell that discussed an aspect of this Act that I did not know and I think makes a great connection with what is happening today. When President Johnson was considering signing the Civil Rights Act into legislation, there were a number civil rights leaders meeting with him at the White House to convince him to sign it. Their approaches can be divided into two categories. Dr. King and others would emphasize the importance of black lives, families, and suffering they endured. Even though President Johnson might have agreed with these sentiments, it did not push him to sign the Act. Whitney Young, Jr. on the other hand emphasized the negative effect a lack of the Civil Rights Act would have on everyone including businesses and communities that are not black. Thus, we can celebrate and praise the Civil Rights Act of 1964. I mention this aspect of history to draw a connection with the recent protests, campaigns, and hashtags for “black lives matter,” “hands up don’t shoot,” and “I can’t breathe.” Even though all of those lines are true and recognizing the pain and exhausting existence blacks endure everyday is important, it does not illustrate the bigger picture. Not enough people and hashtags focus on how police brutality negatively effects everyone in this country. This is not a black problem. This is not a black versus white problem. This is an American problem and as Americans we should all be very concerned at how this issue has continued to escalate and not tolerate a system that does not treat everyone equally. 2014 was not a good year for American police departments in terms of media coverage. I am not sure if there has actually been an increase in their brutality or they just got caught up in headlines more frequently that year, but if the people who are hired to protect citizens are always portrayed as monsters…how can we maintain a healthy society? This is not just about the countless number of black boys, girls, men, and women who are murdered by the hands of police and the families they leave behind. Do you want to live in a country where everyone is scared of a badge? A country where everyone is suspicious and scared of blacks? A country where everyone is walking on egg shells to prevent another riot? If we are not careful, we could be heading further in that direction. I commend the few millionaires who donated money to police departments to give to random citizens in cash or christmas presents, but that is not enough to solve this issue. (As an aside, the fact that millionaires stepped up to do this further validates the boycott of Black Friday. Police brutality is bad for business. Your spending power makes more of an impact then any sit-in, die-in, sign-in, etc. Remember that.) I know not all police men and women are monsters and I would like to believe not all of them would shoot and kill me within a second, but we cannot be naive to the fact that some badges, guns, and authority are given to people who truly hate those that are different from them. To the non-black person who genuinely wants to be an ally to the oppressed, I recommend you view the documentary I mentioned above and read about Whitney Young, Jr’s impact on the Civil Rights Movement. Then use that knowledge to explain to your non-black friends how this issue of police brutality directly affects their lives to entice them to help stop it. It’s almost like translating it into another language. Viewing the tweets under #blacklivesmatter can help see what the conversation needs to focus on with out dominating it with ignorance. However, also understanding how this affects you as a non-black individual, not as a white person feeling guilty, in realizing how it can and will damage your privileged reality, is key. For some, understanding is best acquired through empathy. If, for one day, you could walk in a black persons shoes, you could get a glimpse to how exhausting this life is. I do not have the means to provide such an experience, but John Howard Griffin wrote a novel in 1959, “Black Like Me”, that can provide some insight. Griffin disguised himself as a black person and documented his experience. I think it would be intriguing if someone conducted that experiment today to see how much progress has actually been made, but it would take more resources to illustrate the numerous groups and characters within the black community now compared to the 1960s. Nonetheless, this novel is a good start in understanding the experience of a culture you are not a member of. In addition to listening to a black person’s experience with discrimination, your discomfort with the topic should inspire you to not remain silent but to take an informed stand. Another film I would recommend is “Dear White People.” The title might give a certain impression, but the film is not a guilt-trip blame narrative. It is a witty satire that provides insight and social commentary to what the black experience is in the current form of racism. It is packed with a lot of conversation points, but one key message is to respect others’ experiences and not disregard them by snapping back about how long ago slavery was. 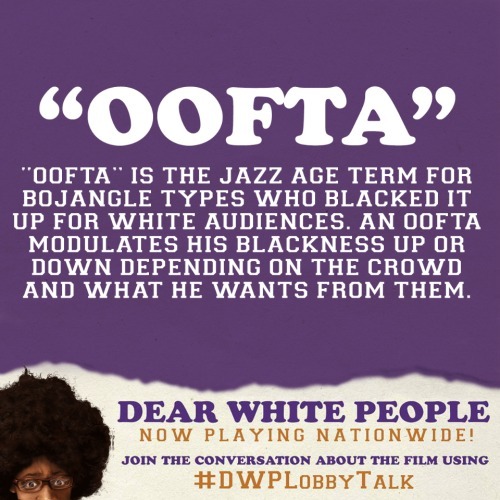 The film also illustrates how blacks internalize and react to this question of identity in and out of the black community in a variety of ways. All of those experiences are worth listening to. There is also an article, “The Talk: How black parents prepare their young sons for life in America” by Bijan Stephen, that touches on the painful balancing act parents engage in while raising black children in America. Black children learn about the dark side of being black in a reactionary way through interactions at school. It is almost like a form of losing one’s innocence. You also feel a sense of helplessness knowing that there is nothing you can do to protect a black child from any pain or danger they might face outside of your home. This realty adds to the sadness of losing a black child by a police bullet, regardless if you knew them personally. There is no simple solution to oppression in America because it is so engrained in our history. Those in power and older citizens cannot change. 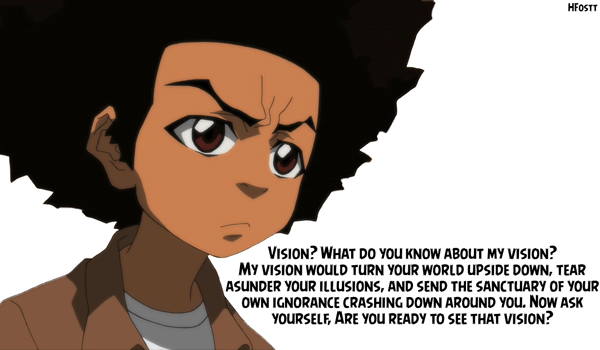 However, the youth and young adults can stop manufacturing racial oppression for the generations coming up. For now, to be an ally to the oppressed, you must listen, respect their experience, and acknowledge their pain and existence. I know this discussion could branch off in many directions, but these are the two points I wanted to start with. I hope this was helpful. Have you watched either films or read the novel I mentioned? Are there other points you would like to elaborate on? Let’s have a conversation. The process does take time. Thank you for your comment!